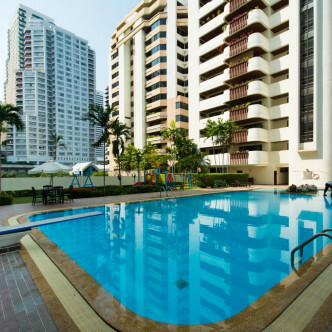 People who are looking for pure paradise in the big city are sure to love this high rise. 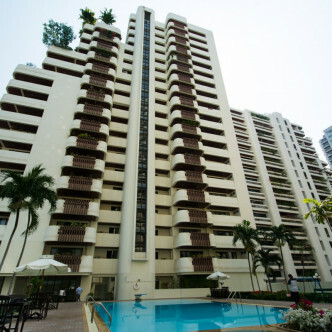 Every effort has been taken to give the building a luxurious tropical style and although it was completed in 1994 it boasts modern furnishings with sixty units set on 23 floors. The outdoor swimming pool is set in an enchanting garden and comes complete with a diving board for residents to make use of. 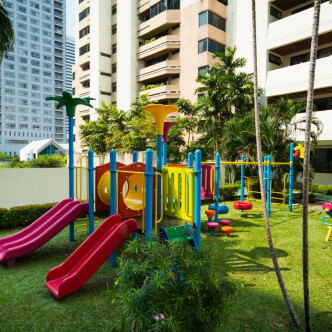 There are also some great facilities for families like the colourful playground located close to the swimming pool and the large fitness centre. 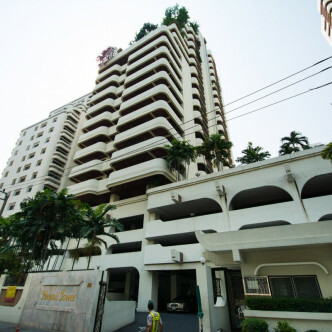 Although it is possible to walk to either Asok BTS station or Sukhumvit MRT station in around 10 minutes, a free shuttle service is also provided for residents at Hawaii Tower. This vibrant location is packed with excellent bars and restaurants as well as some of the most desirable schools in the whole of Bangkok.